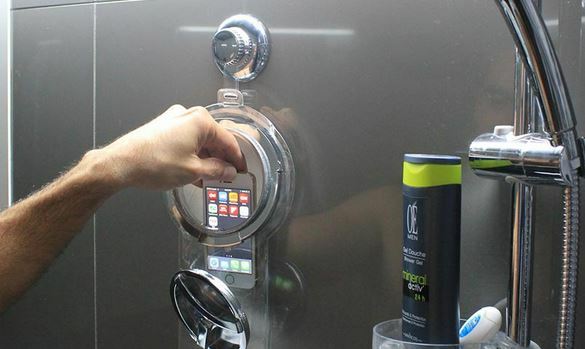 HOYO: allows you to keep your smartphone within reach while taking a shower. It keeps your phone safe from water. 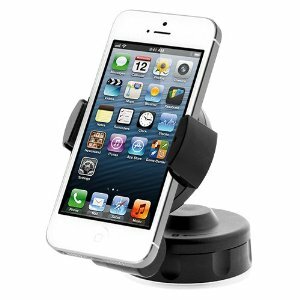 It is compatible with smartphones up to 5.3 inch screens (iPhone 4, 4s, 5, 5s, Galaxy S3, Galaxy S4, and many more). Shower Tunes: this waterproof, touch sensitive pouch holds your tablet safe and has a built-in waterproof speaker, so you can listen to music, answer calls, and do a whole lot more. 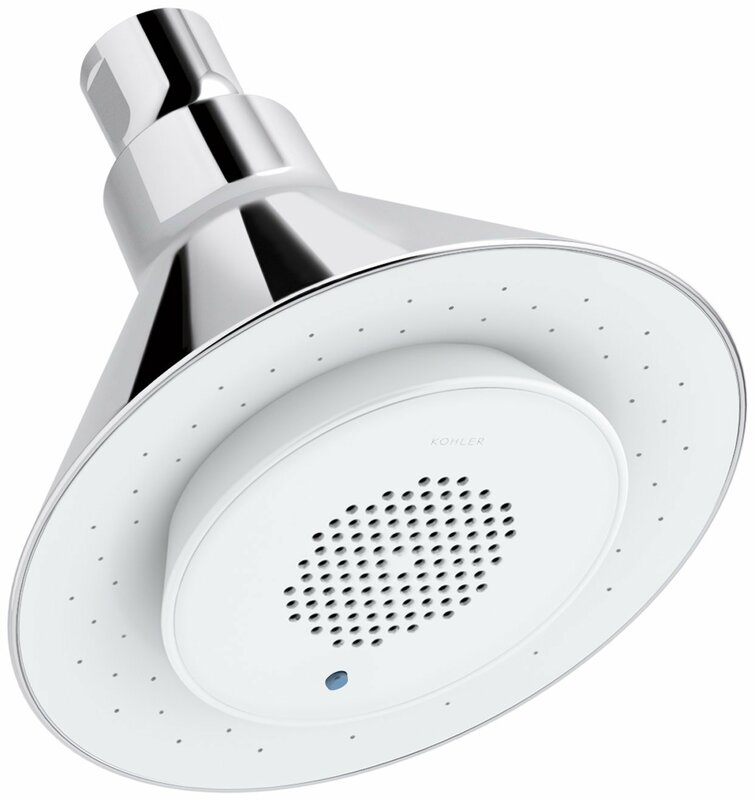 Moxie Showerhead and Wireless Speaker: you don’t always need to have your iPad with you when taking a shower. If you just want to listen to some music, using a speaker like this one is a much better idea. 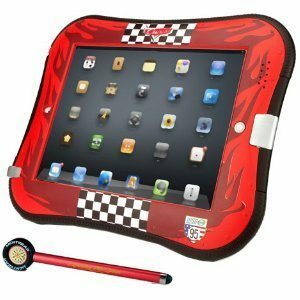 Splash Tablet Case: allows you to take a shower with your iPad by your side. You can also use it in the kitchen and other places. 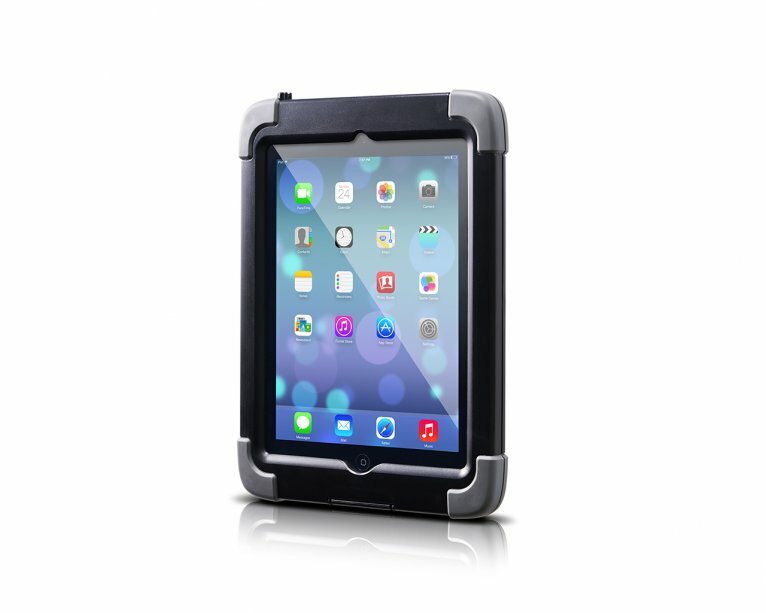 aXtion Pro for iPad: more than a shower case for iPad, the aXtion Pro has an ultra-rugged design. It is waterproof and shockproof. 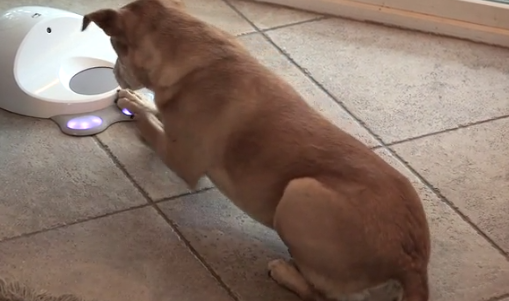 Most of us probably don’t need our iPhone or iPad near when taking a shower. But if you do, the above accessories can help.